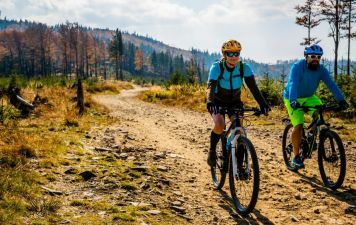 This incredible adventure pits you against the spectacular landscapes of the Lake District National Park by bike, kayak and on foot! 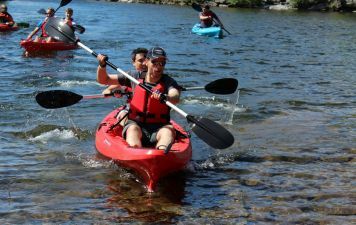 Trek to the summit of one of the Lake District’s most iconic peaks, the Old Man of Coniston, before testing yourself on the off-road mountain bike trails of Grizedale forest, then kayak across iconic Coniston water. 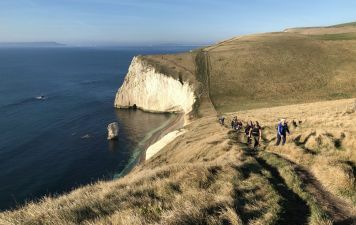 Grab this opportunity to pit yourself against the spectacular landscape of the Jurassic Coast, trekking from Osmington Mills to Corfe Castle this impressive yet quite tough one day challenge. The sense of achievement is enormous as you conquer this 22-mile route of steep ascents and descents on the stunning English coastline. 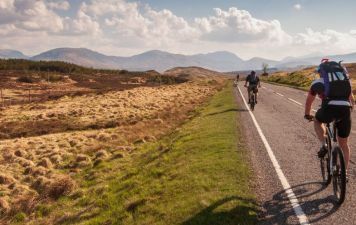 The Ben Nevis Challenge covers 100km on bike and canoe through the Great Glen in the Scottish Highlands, one of the most famous mountain landscapes in the world, before climbing Ben Nevis the highest mountain in the UK. The Ben Nevis challenge is designed to pull all of this together for you, the adventurer. 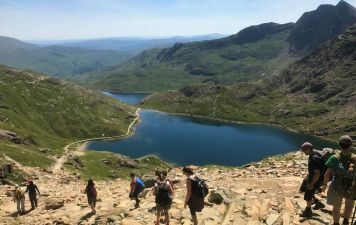 Why not tick off this iconic UK mountain trekking adventure in 2019? 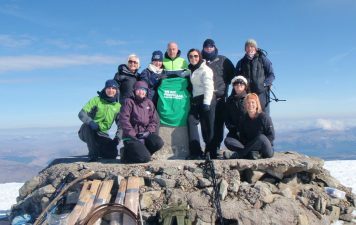 Climbing the 3 highest mountains in Scotland, England & Wales within 24, 48 or 72 hours is certainly a tough challenge, however with the support and encouragement of the Adventurous Ewe Team, we’ll ensure your trekking challenge is a memorable one for all the right reasons. 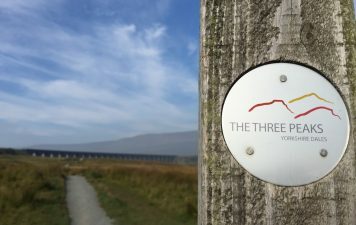 This exciting and rewarding challenge will have you trekking over the famous Yorkshire 3 Peaks within a period of just 12 hours. These peaks form part of the Yorkshire Dales National Park. The route is extremely scenic and provides spectacular views over the stunning Yorkshire countryside. 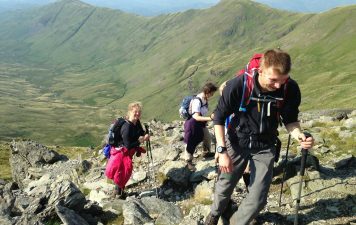 The 24 peaks challenge is ultimate U.K. mountain challenge, which involves scaling 24 Peaks in 24hrs, covering all the major peaks in the Lake District. 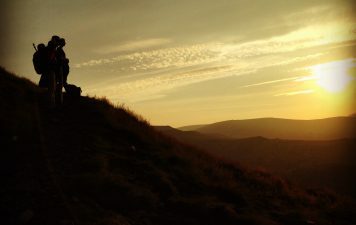 You will ascend nearly 13,000 feet over mixed terrain and across some of the most rugged and dramatic mountain landscapes in the U.K. making those long days walking pass by. Trekking Snowdon during the day time forms a great challenge, but using torches to light our way and having the moon as our back drop, summiting at night brings another sense of achievement. Seeing the sunrise across Snowdonia will be a memory never forgotten! 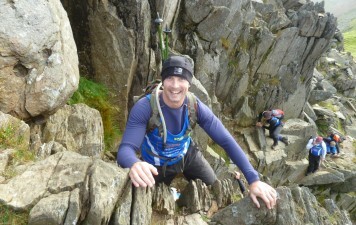 Spread over 3 days, the Welsh 15 Peaks Challenge passes through some of the finest mountain scenery in the U.K. The Welsh 15 Peaks covers a distance of 30 miles you will ascend a total of 14,000ft and climb all 15 peaks over 3000ft in Wales. 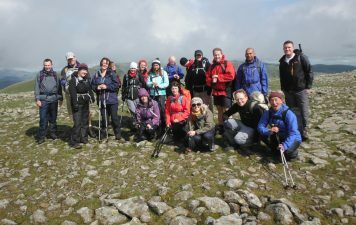 The Welsh 3 Peaks Challenge takes in the three mighty peaks of Wales, as we journey though the magnificent Welsh countryside summiting Snowdon in North Wales, Cadair Idris in Mid Wales, and Pen Y Fan in South Wales.